Zero Motorcycles will be unveiling their new electric motorcycle on February 25th 2019. The company has already revealed that the upcoming electric bike will be called SR/F while releasing the teaser image of the motorcycle earlier this month. Now Zero motorcycles have released one more new teaser of their upcoming motorcycle where they partially revealed the motorcycle as well. The motorcycle is based on a completely new platform and promises to bring all the modern cutting edge technology to the table. The SR/F will be powered by the most powerful electric motor that Zero has ever produced. The Calfornia based motorcycle manufacturer said that the soon to be launched motorcycle will provide an effortless and powerful riding experience to the owners in the naked streetfighter category. The first teaser image teased the front end of the motorcycle. 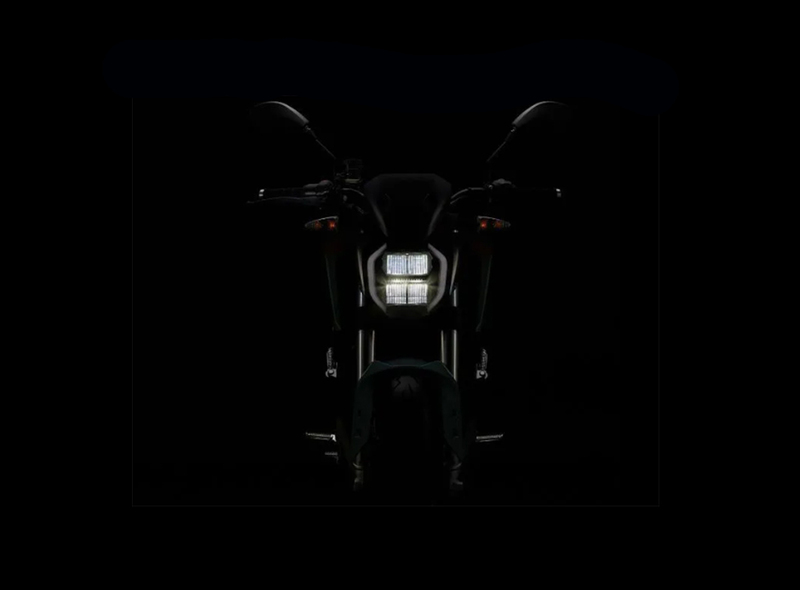 The Zero SR/F naked electric bike will feature an unconventional four-segment LED headlamp unit. While the latest teaser image showed us a glimpse of the side profile of the motorcycle. Expect the electric bike to feature an aggressive design language. The faux fuel tank of the motorcycle will most likely store the bigger capacity batteries. While Zero has also upgraded the charger as well to quickly charge those batteries. The motorcycle will further also get a new suspension setup, while the seats will be a split unit. The rider seat, in particular, has proper seatback support which will definitely give the rider support while accelerating. While you can also expect the upcoming motorcycle’s tyres to also be slightly different and wider as well than the standard Zero SR. Although Zero motorcycle has not revealed the powertrain details of the motorcycle yet, however, some report claims that the motorcycle will be powered by a bigger 20kWh battery pack which will be capable of producing around 118 bhp of peak power. While like we already mentioned earlier the motorcycle will also feature a host of other cutting edge technology as well including an advanced TFT instrument cluster, while for the safety of the rider it will get a dual channel ABS and cornering ABS system as well. Although the electric motorcycle will be unveiled on February 25th, unfortunately, it won’t be coming to the Indian shores anytime soon.